For years, my wife Amy wanted a ginormous farm table a minimum of ten feet long to entertain fourteen to twenty people at a time. And what my baby wants, my baby gets. So I researched, studied… and realized that these tables are super pricey. “Babe, I’m going to make you a farm table,” I said enthusiastically. “You don’t need to say a thing. You’re welcome,” I said. The schematics were in my head. About a week before Thanksgiving, I went to Lowe’s and purchased four ten-foot-long one-inch by twelve-inch boards and a couple four-foot-long one by fours. No saw cuts necessary. All it took were a few screws and a drill and shazam—Amy had a twelve-foot farm table to set on top of our existing table. It’s one huge table leaf. Deep down, Amy was impressed. She had her farm table for ninety dollars. All she needed were two overlapping tablecloths to hide the roughness and no one would know the difference. One reason I was excited to make the farm table, other than the fact that I served my wife, was that it eliminates the kids’ table. Now everyone is around the same table. We can minister to our guests without splitting everyone up. Many different languages and backgrounds were present when the church started in the first century. How do you bring diverse people together? The answer is simple: food. As we read in Acts 5, “Day after day, in the temple courts and from house to house, they never stopped teaching and proclaiming the good news that Jesus is the Messiah” (verse 42). The message is Jesus, and the tool is the table. The table is still the place where we bring uncommon people together. 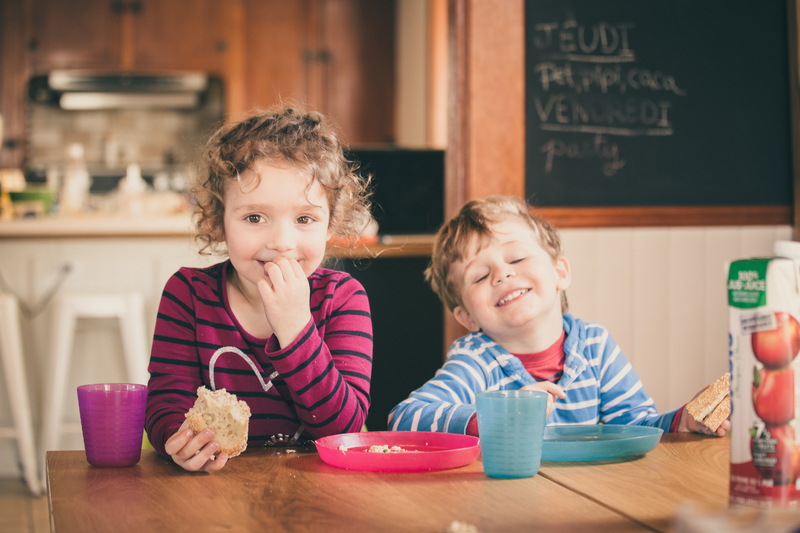 God uses the home and our table to bring different backgrounds together, whether rich or poor, conservative or liberal, regardless of religion or past or present. We are all about inviting people to church, but what about inviting people into our homes? Around the dinner table walls come down. This is the beauty of hospitality. God can use you and your home. 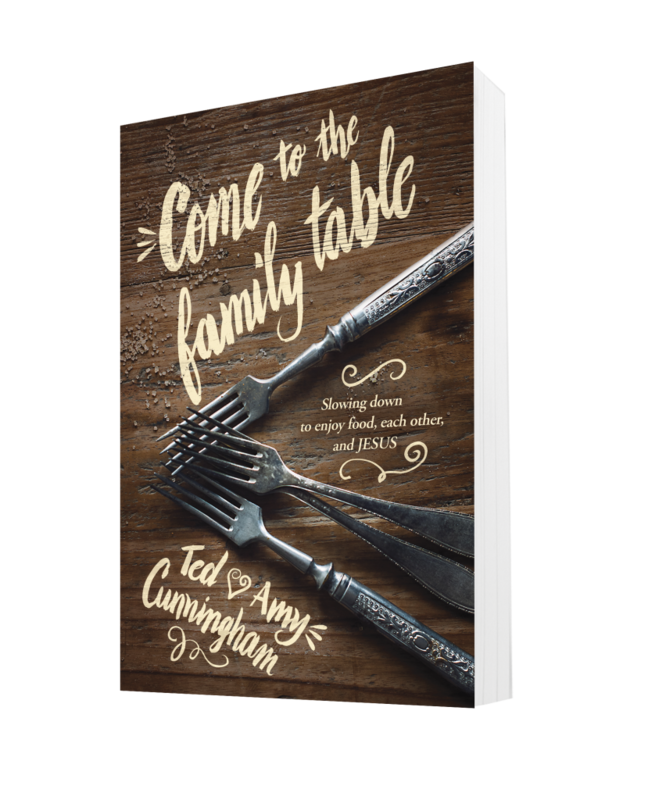 You’ve been reading from the beginning of Ted & Amy Cunningham’s Come to the Family Table: Slowing Down to Enjoy Food, Each Other, and Jesus. 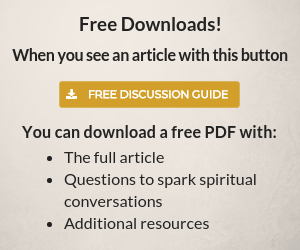 Keep reading a free excerpt here. How did you get a 12′ table from 10′ 1×12’s? I’m not picturing this either. Could you post a couple of pictures? Ted says he used “4 1x12s and a couple of of 1x4s”. I think it’s safe to assume he was not focusing on the exact construction measurements in the video. But glad you guys are visualizing it. Every table is different so might be best to head to Lowes or Home Depot!